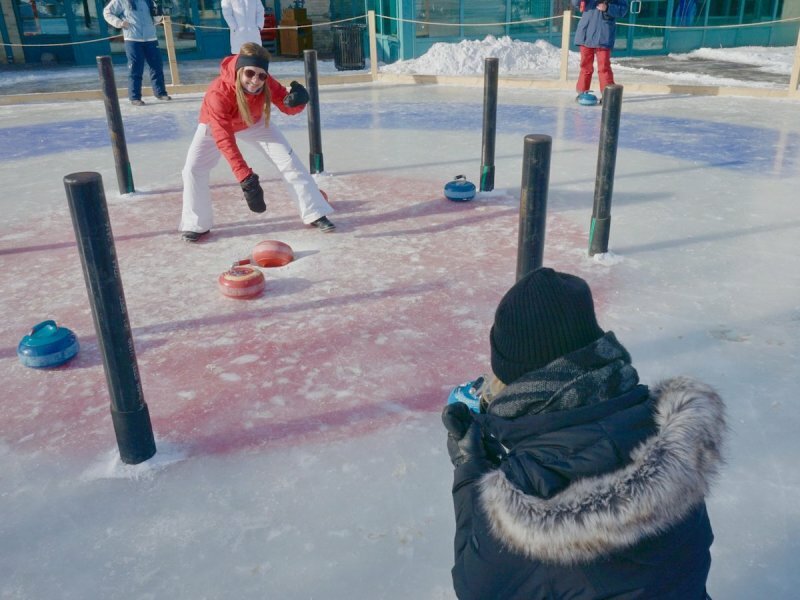 Arctic Glacier Winter Park is one of Winnipeg’s best places to celebrate winter. 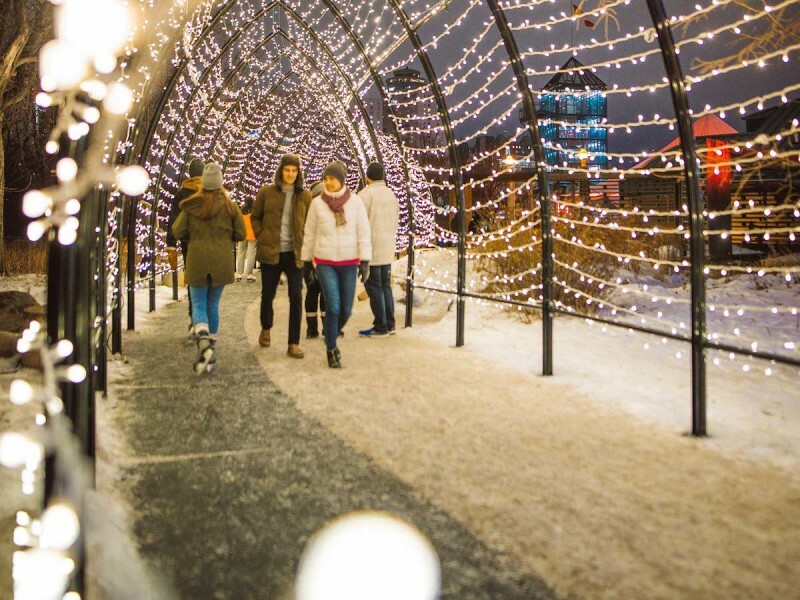 Skate on 1.2 kilometres of trails, shoosh down the toboggan run, take a crack at Crokicurl, and get that perfect selfie under the lit archway. The Plaza Skating Rink is artificially cooled, allowing the skating surface to stay frozen earlier in the winter and remain later into the spring. The canopy above the ice surface is beautifully lit and animated with music. An Olympic-sized Skating Rink is located adjacent to the CN Stage and is available for leisure skating and pick-up hockey games. The rink is maintained daily with a Zamboni for excellent ice conditions. Hockey nets and warm-up shacks are provided. The Toboggan Run goes off a small berm behind the parkade. 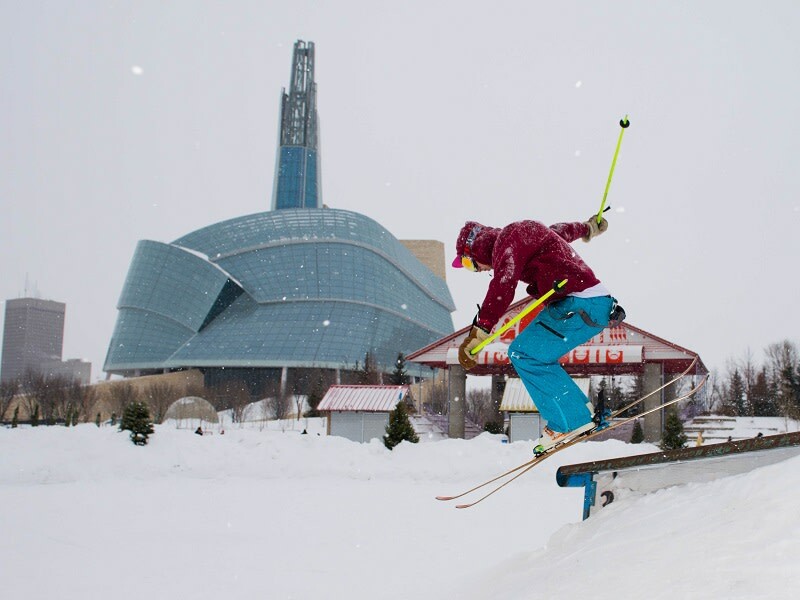 Bring your toboggan and glide into Festival Park. 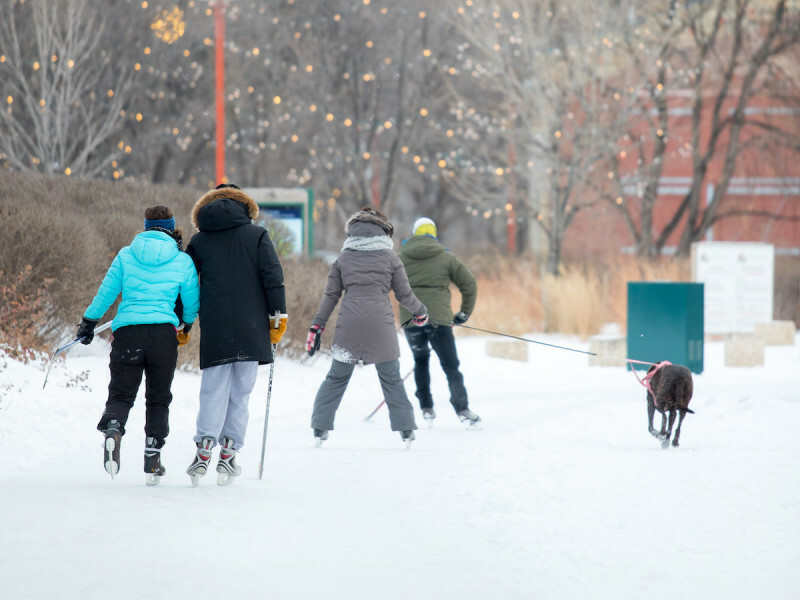 1.2 km of skating trails connect the largest portion of Arctic Glacier Winter Park to The Plaza and Market areas and meander through The Forks site. All trails, rinks and the river are connected to the Plaza with rubber mats. Warming huts and many benches are strategically placed along the trail. Festive lights enhance Arctic Glacier Winter Park by keeping the entire site colourfully lit and providing a warm, beautiful glow. Horse-drawn wagon rides are available every Sunday from 1:30 p.m. to 4:30 p.m.
Skate rentals are available in The Forks Market Atrium. Rates are $3 for children and seniors, and $5 for adults. Call 257.0288 or 955.8814 for group bookings.